It won’t be the stars aligning, but the moon, the Earth, and the sun rather, in what is sure to be a breathtaking celestial event. On Sunday night, a rare total lunar eclipse will be visible to sky gazers all over the world, but particularly in the Americas. 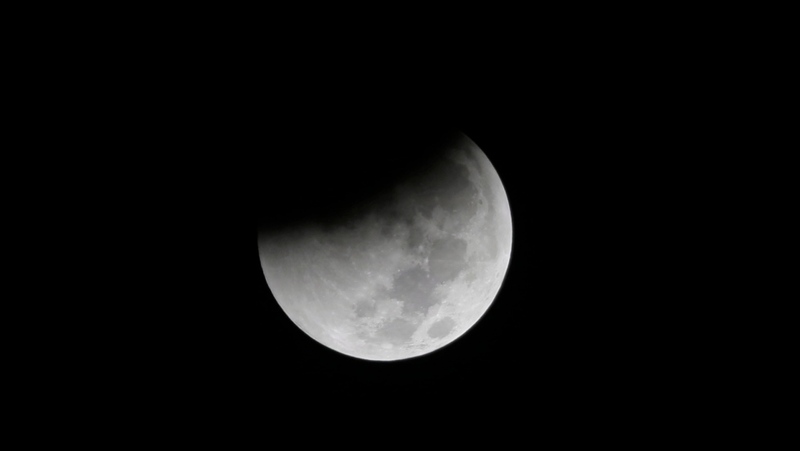 Andrew Fazekas, a National Geographic astronomy columnist, explained that a lunar eclipse is when the Earth, moon, and sun line up at the same time. To break it down, the “super” part of the name is there because the moon will be unusually close to Earth in its orbit – the closest it can be in fact. Fazekas said this will make the moon appear approximately 16 per cent brighter and about 13 per cent larger in the sky. “It really will be quite impressive,” he said. The “blood” part of the title is because the moon may appear to be bright orange, gold, or even a dark red shade as the moon travels deep in to the Earth’s shadow during the eclipse. Fazekas said the colour change happens during every eclipse, but what the exact colour will be is dependent on how much particulate is in the atmosphere. “Romantically, you can think of it as all the sunrises and sunsets of the Earth being cast on to the surface of the moon simultaneously,” he said. As for the “wolf” moniker, the first full moon in January is traditionally called the “full wolf moon” in Indigenous culture, according to the Farmer’s Almanac. Fazekas said the story goes that this is the time of year when wolves are howling and congregating in packs. 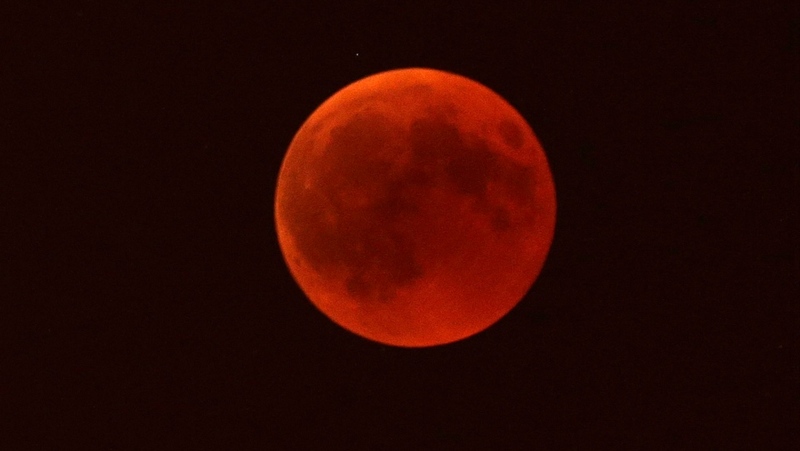 Although the exact time to watch may vary depending on location, the total lunar eclipse and the super blood wolf moon will be visible to people in North and South America, as well as Europe and Africa. The Americas, especially, will be privy to the total eclipse in its entirety this year after missing out on last year’s total eclipse of the moon in July. As for the timing, the total eclipse will last nearly three-and-a-half hours beginning at approximately 10:30 p.m. EST on Sunday. 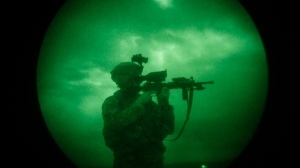 It’s expected to wrap up around 1:50 a.m. the next day. For the most dramatic show, spectators should plan to watch at 12:12 a.m. EST when NASA says the maximum eclipse – when the moon will have its deepest and darkest colours – is set to take place. Fazekas said it will be fairly easy for Canadians to stay up and watch the total lunar eclipse this year. He said the lunar event will be visible to the naked eye – although binoculars can be useful for a closer look. In terms of where to watch, Fazekas said most Canadians should be able to see the eclipse just by going outside and looking up. He said it should even be easy to see for those who live in cities. If there are cloudy skies obstructing the show, Fazekas said people can always watch by tuning into a live webcast hosted by Astronomerswithoutborders.org, which will be livestreaming the eclipse from four different telescopes situated on four different continents. For anyone who can’t view Sunday’s total lunar eclipse, they’ll have to be patient because the next one isn’t expected any time soon. According to NASA, the next total lunar eclipse will be visible on May 26, 2021.